JCCSLO Board of Directors has officially endorsed the efforts of the San Francisco Jewish Community Relations Council to oppose the proposed circumcision ban there. Please add your support by visiting their website. 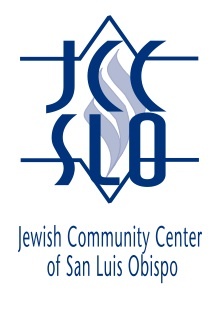 The Jewish Community Center of San Luis Obispo supports the efforts of the Jewish Community Relations Council of San Francisco ("JCRC") to stop the proposed circumcision ban covering the City and County of San Francisco. We believe the proposed law to be a violation of the religious liberties enshrined in our state and federal Constitutions. While we support the democratic right of the people to propose and advocate legislation, there are limits on what laws should be put in front of voters. Those limits are set forth in the Bill of Rights. Accordingly, we support the lawsuit that the JCRC filed last month to prevent the proposed ban from appearing on the ballot. However, we are confident that the voters of San Francisco would defeat such a proposal and we assert that the fact that this law was proposed in San Francisco is no more of a reflection on this famously liberal city or its inhabitants than "kick a Jew day" was a reflection on conservative Naples, Florida. Indeed, it is San Franciscans that are spearheading the opposition to this law. In supporting this measure, we take no position on what choices families—either Jewish or not—should make; indeed, it our support is intended to preserve that freedom. Thank you for your attention and support. If you have any questions about the lawsuit or anything else, feel free to contact me.